As a whistleblower who stands up to lab fraud, you can help U.S. taxpayers recover millions of dollars and be rewarded with a percentage of everything the U.S. collects as a result of your lawsuit. It is important that we stop a lab that is paying doctors to refer patients and specimens to the lab. You can take part in halting fraud by reporting it with the help of our Atlanta lab fraud lawyer at The Wallace Law Firm, LLC. First in her class at Vanderbilt University, Lee Wallace graduated with honors from Harvard Law School. She devotes her practice to representing individuals stop fraudulent activity that costs taxpayers money.  We invite you to discuss your case at no cost: (404) 814 0465. What Is Lab Specimen Fraud? The Department of Health and Human Services’ (“DHS”) Office of Inspector General (“OIG”) issued a “Special Fraud Alert”, warning about a scam where laboratories pay physicians when they send in patient blood specimens – which are tested and charged to federal healthcare programs such as Medicare or Medicaid. The cost of unnecessary lab tests gets wrapped back into the cost of the healthcare, at the expense of U.S. taxpayers. How Do You Recognize a Fraudulent Specimen Processing Arrangement? In its June 2014 report, OIG set out a list of the things it will look for when it evaluates specimen processing arrangements. The doctor is paid more than fair market value for the services his office provides. The doctor already has been paid by Medicare, Medicaid, insurance or a third party for the services, so that the lab’s payment amounts to a double payment to the doctor for doing the same thing. The lab pays the doctor who orders the test directly, instead of his physician group practice, which may actually be bearing the costs associated with collecting and processing the specimen. The lab’s payments take into account how many referrals the doctor sends or how valuable those referrals are. OIG suggested some examples of these types of payments would be: a) if the doctor takes more than one specimen from a patient during a visit, and the lab pays the doctor separately for each specimen; b) the lab pays the doctor for each test he asks the lab to conduct; or, c) the lab pays the doctor a fee for every patient whose specimen is sent to the lab. The lab requires the physician to order a certain number of tests (volume), a certain type of test, or a particular test panel, in order for the doctor to get paid. OIG said it would be particularly concerned if the tests on the panel were duplicative, were not reasonable and necessary, or were not reimbursable. The lab pays the doctor or his physician’s group even though the testing is being done by a phlebotomist “placed in the physician’s office by the laboratory or a third party.” In other words, if the lab sends somebody over to do the work, then there is just no reasonable justification for the doctor to be paid for it. OIG said labs also cannot “carve out” beneficiaries who have Medicare or Medicaid benefits, and just pay the doctor for specimen testing that gets charged directly to the patient or an insurance company. First, the lab and doctor would still be violating the Anti-Kickback Statute even if the illicit payments were made for blood specimens from insurance patients. Additionally, OIG said it would be suspicious that the lab was manipulating the amount it paid for specimens of patients who did not have federal healthcare coverage, in order to ensure that it compensated the doctor for specimens from the doctor’s Medicare and Medicaid patients. Know About Lab Fraud? You Can Stop It. If you have information about a lab that is violating the anti-kickback act by paying a physician for blood specimen referrals, by becoming a whistleblower you may be able to stop the fraud and get a percentage of what the Government recovers. To find out more about lawsuits involving the False Claims Act, the Stark Act and the Anti-Kickback Statute, contact The Wallace Law Firm today. Lee Wallace has been representing whistleblowers for over 25 years. She is prepared to put her experience and knowledge to help whistleblowers like you stop fraud against the government. Call us at The Wallace Law Firm, LLC today – (404) 814 0465.